Many individuals want to know how to save videos from Twitter since there are numerous video clips are now shared online. These videos vary from entertaining videos to some clips that are informative. In spite of this, Twitter does not have a built-in download function that allows users to grab video clips instantly. Good thing there are some third party applications that can help us saved Twitter videos by downloading and recording. Kindly read the rest of this post to shed more light about this topic. The first method to save Twitter videos is through downloading applications. And there are two downloaders that can save videos from Twitter posts. Learn more of these tools as they are elaborated below. This is an online based program that is made solely made to download shared Twitter videos easily. There’s no need to install additional software. To grab a video with this, all you must do is to copy the URL of the shared video that you wish to save. After that, paste it on the tool’s URL box and then click “Download”. Some users prefer this method for it can be done easily. However, there’s a bug that affects the processes of the site months ago, that’s why some Twitter videos can’t be downloaded. Crashes can also be experienced, so there’s a chance that your video won’t be saved properly. In an event that you wish to save Twitter video to phone, then here’s a mobile app for you called +Download. Upon installing this into your mobile device, you will instantly have a download button right into your Twitter app. It definitely fits well with the tool allowing users to download videos with just few taps. On the other hand, there are some user concerns regarding this tool. Aside from very slow download speed, frequent adware pop-ups also annoy users that made them quit the app. If you want to know how to save Twitter videos to camera roll and on other devices, then this method can help you to save any Twitter video by means of screen recording. This way is preferred by many users, since it’s safe and it won’t put your devices at risk of malware and adware. And the best application to do this job is none other than ApowerREC. By using this tool, users can capture any activities on their screen regardless of the platform that their devices run. To know more about each version of this screen recorder, you can check them each of them as you continually read. 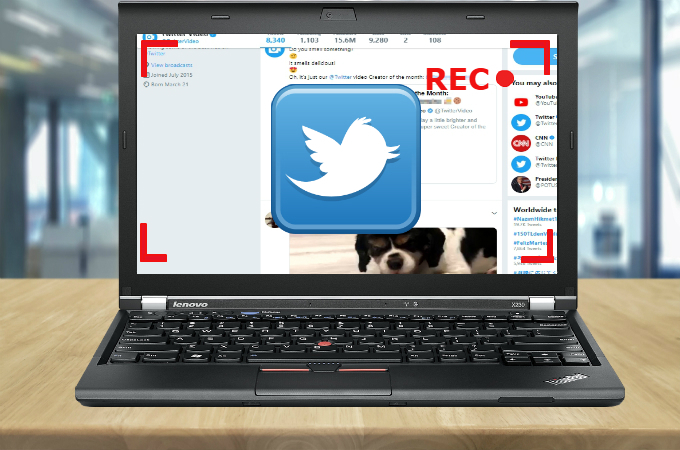 If you are looking for a tool that can help you grab some Twitter video right from your computer, then ApowerREC’s Windows and Mac version can answer your query. With the use of this recording tool, you can record your screen whether you want a full screen or record certain areas only. Unlike other recordesr, this one is capable of capturing along with the audio at the same time, plus, recording webcam feeds is also supported. When recording your screen, you can add some makers and pointers by utilizing the tool’s annotating tool with one click. 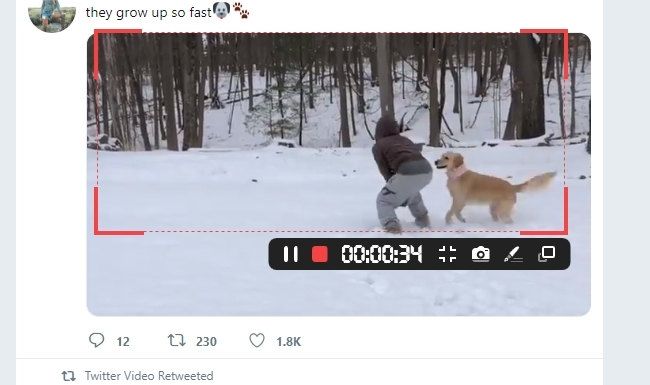 Here’s how you can save Twitter videos using this software. Get and install this program by hitting the button below. Next, open the tool and go to settings and set some settings like output format, video format, video and audio settings, and other things that you want to set. Look for the Twitter video that you wish to have. While recording, you can add some basic annotations like lines, shapes, text, and you can add numbering as well. Once done with the recording, just hit the red stop button and your captured file will appear on your recording list. If you wonder how to save videos from Twitter on iPhone, then you can use ApowerREC as well which is specifically made to fit in the Apple’s system, making it stable enough to be used without any jailbreak. Aside from capturing your screen and audio at the same time this application also supports front camera recording, which is useful in making reviews or commentaries. Other features of this version include a basic editor which you can use for trimming video and a share function for uploading your video on various social media sites. To save Twitter videos on iPhone, you can check these steps. Install this mobile recorder from the button below or directly get it installed from App Store. After that, open the tool and then go to your device’s “Settings” and enable “Screen Recording” from the “Control Center”. Next, open the Twitter video that you want to save. 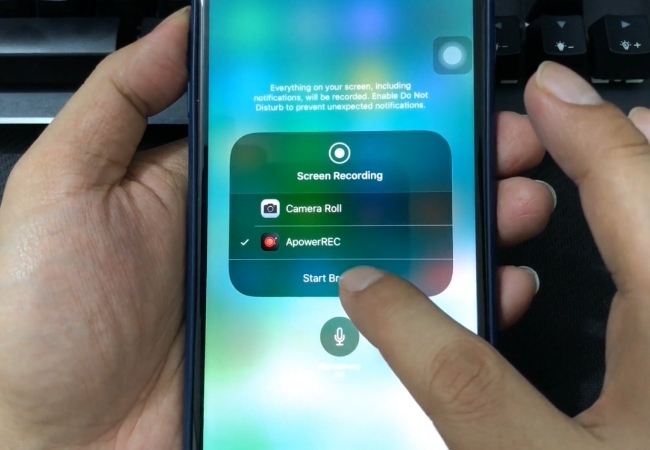 Now launch the “Control Center” and the long press on the “Screen Recording” icon until you see ApowerREC and then tap it. To start the recording, just press “Start Broadcast” and the recording will then begin after 3 seconds. 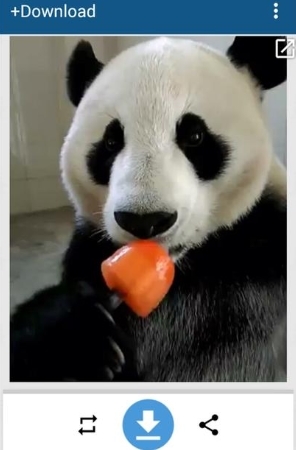 When the video is done, just tap the red portion at the top of your screen and the recording will end right away. You’re recorded clip will be included in the tool’s recording list. In an event that you like to save Twitter video to device runs Android OS. Well good thing ApowerREC also has mobile version compatible to all Android phones and devices. The good thing about this screen recorder is that it does not need any system rooting before you can use it. This screen recorder is capable of recording screen and audio altogether. Plus, it can record front camera feeds and take screenshots as well. Moreover, other features of this screen recorder include an overlay icon for easy accessibility, show touches to emphasize certain action, and a share function for sharing your capture video to your friends. Aside from these, there’s a “Smart Recording” function that will automatically trigger the screen recording as soon as a particular app that you selected is opened. To capture a Twitter video with this tool, you can follow the steps below. Get and install this mobile recorder through the button below. Once installed, open the app and make some needed configuration by going to settings and set the video settings, enable audio and overlay icon etc. After activating the overlay icon, go to your Twitter video and play it. To begin the recording, just tap the “Overlay icon” and then press the “Play” icon and the recording will start after the short countdown. And when you’re done, end the recording by tapping the overall icon once more, but this time press the “Stop” icon. The captured clip will then be saved under the output folder that you’ve selected. Both methods shown above work well and it’s upon your own preference on which way to opt. 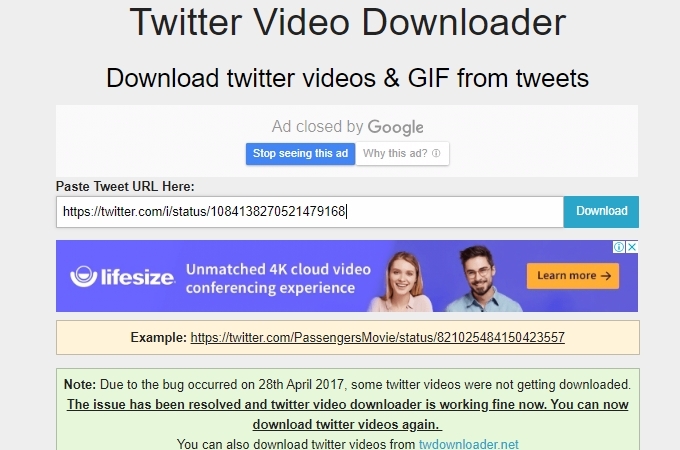 So if you like downloading stuff directly into your computer then downloading Twitter video will fit your needs. However, grabbing something directly from the internet may put your computer at risk of malware and viruses. While, if you choose recording, you will instantly eliminate the possibilities of being infected with viruses. 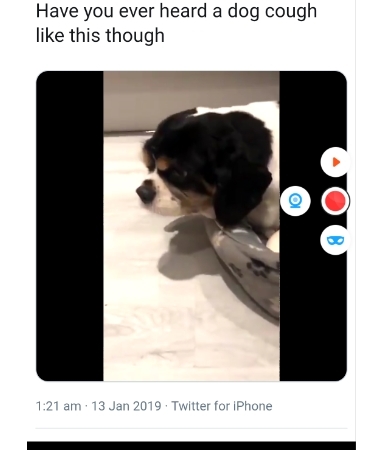 Plus, this method will also give you the opportunity to record a certain portion of a Twitter video only, in case you don’t need to whole video. Better try them personally and scrutinize them yourself.